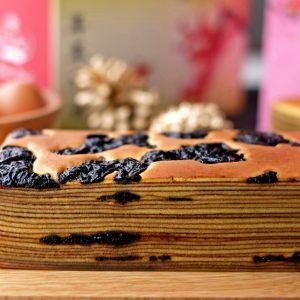 Premium, mouth-watering, heavenly Chinese New Year goodies handmade freshly by us delivered directly to you. Enjoy the wonderful festive season with the best goodies you can ever find! 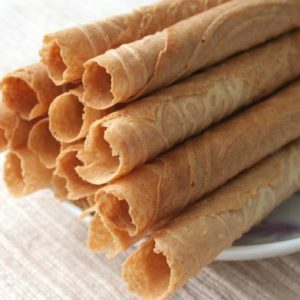 Enjoy the best CNY Goodies in Singapore! Every of our goodies is freshly handmade as per order. We do not keep stock as we take utmost priority in the quality of our products. Be rest assured that the goodies that you receive are no longer than 3 days old! Moreoever, preservatives are a strict no-no to us. While indulging ourselves with these delicious cookies, we have to ensure that our health are not adversely affected too. Only the highest grade ingredients are finely picked for our products. From the salt all the way to the butter and flour, best quality is an understatement. With premium ingredients naturally comes savory and delicious goodies. Unlike factories where everything is made using machines, we stick to our roots and operate the traditional way like how we used to ever since we started. 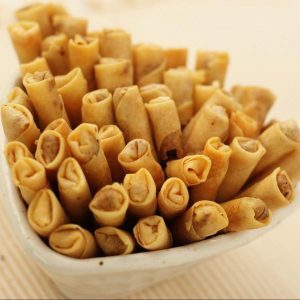 Every goodie is handmade by us which brings about a homely and sincere touch that we want you to experience. Below is a compiled list of customers’ frequently asked questions about our CNY Goodies. We have compiled some of the answers to the questions you guys have in hopes of a better shopping experience. For further enquiries, feel free to contact our customer support. 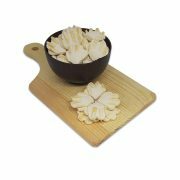 As we take pride in our CNY Goodies and customer satisfaction, all of our products are carefully made to perfection. 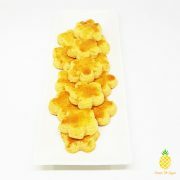 In order to fulfill all orders, Customers of Pineappletarts Singapore are advised to order one or two weeks before Chinese New Year. This will help us better manage our inventories and manpower. With that being said, we still take in orders during the Chinese New Year period. In recent cases, there have been many CNY Goodies stores in Singapore that are fully booked weeks prior to Chinese New Year. To avoid this misfortune, people have started to pre-ordering Chinese New Year Goodies many weeks in advance. 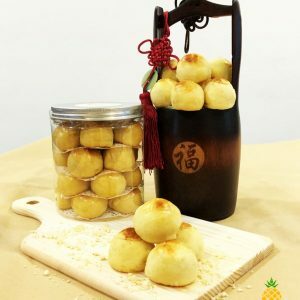 When will pre-order stop for Chinese New Year goodies? 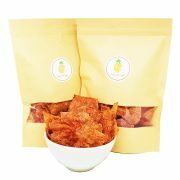 We do not stop taking orders for our Chinese New Year Goodies unless otherwise stated. From our many years of experience in this Chinese New Year Goodies industry, some CNY goodies are prone to being sold out depending on its demand. However, we never stop to introduce a wider range of variety of goodies to meet the needs of everyone. When should I order CNY Goodies? We recommend our customers to place their orders anytime from the start of December till the second week of January. The reason behind this is because it gives us ample of time for production as we do not mass produce our goodies. We aim to ensure that our customers receive their orders that are “Fresh out of the oven” on time. 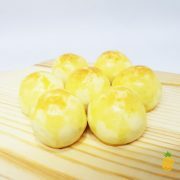 Our CNY Goodies are all handmade and homemade, and they never fall short in quality. 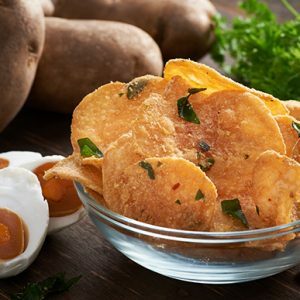 The recipes we use are all homegrown and altered to give an optimal taste and texture. In fact, we claim that our Chinese New Year Goodies are arguably the best in Singapore. 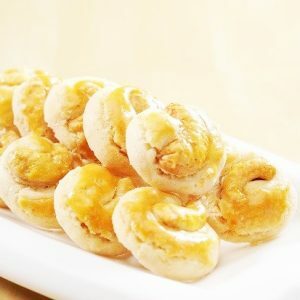 How good are your CNY Goodies as compared to other confectioneries? 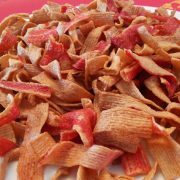 We dare to say that our CNY Goodies are the best in Singapore. We control the quality of our handmade and homemade goodies with carefully selected fresh ingredients. Try it to believe it. Is there a tasting location for y our Chinese New Year Goodies? Yes! Feel free to head down to our location for sampling of our Chinese New Year goodies and we promise you will be in for a tasty treat.